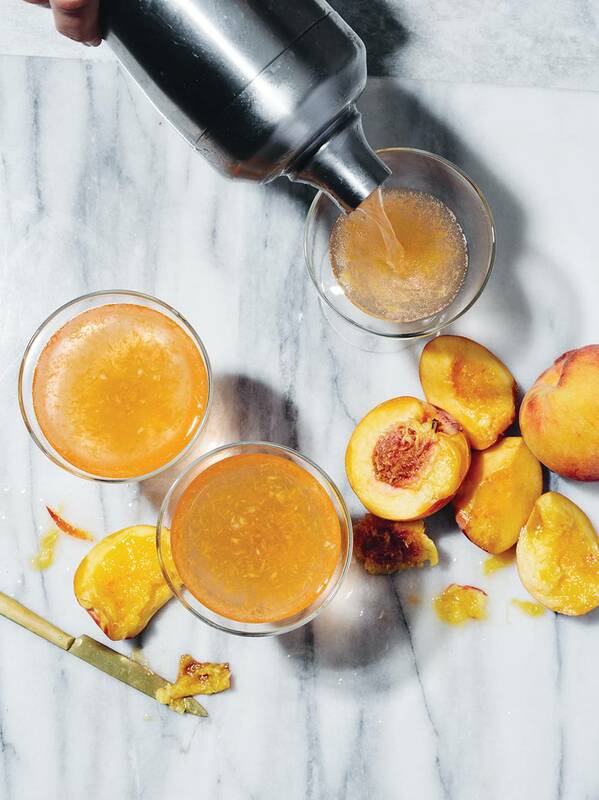 Combine yuzu and stone fruit in a cocktail shaker and muddle. Add all other ingredients; shake with ice. 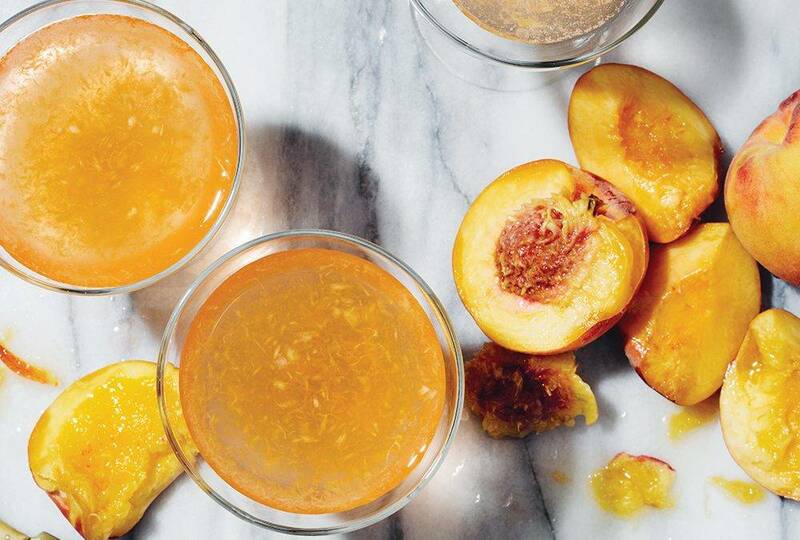 Strain into a glass over ice and garnish with seasonal fruit. Makes 1 serving.